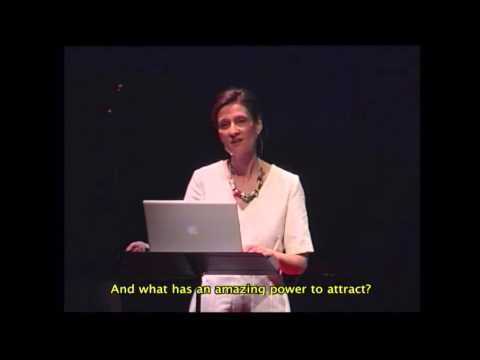 Catherine L'Ecuyer - Speakers Academy vindt de beste spreker en dagvoorzitter voor uw bijeenkomst. | Speakers Academy vindt de beste spreker en dagvoorzitter voor uw bijeenkomst. Catherine L’Ecuyer, a Canadian lawyer with an MBA, currently works as researcher, writer and speaker on The Wonder Approach, a new learning theory that she recently published in the prestigious academic journal Frontiers in Human Neuroscience. Her book, The Wonder Approach, has been published in Italy, Corea and Spain (2012), where it is considered as a bestseller (10th edition). Her blog ( http://apegoasombro.blogspot.com.es) receives more than 150,000 visits a year. According to Aristotle, all men by nature desire to learn, or “wonder”. The wonder approach consists in creating a favorable environment, so that the natural desire to learn can flourish in our children and later teenagers. The wonder approach is about respecting our children’s own pace, their need for silence, nature and mystery, giving them opportunities for beauty and giving them back the love of learning they were born with.